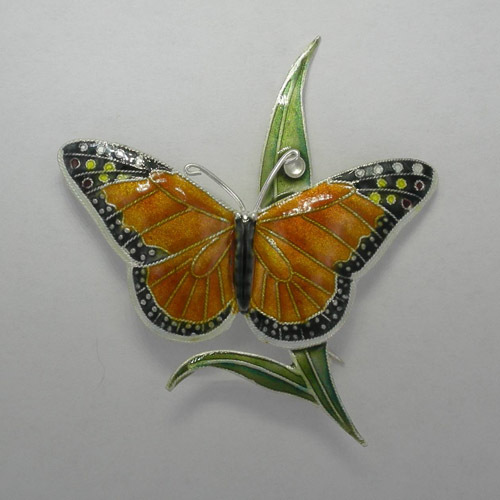 Desc: Sterling Silver enamel Monarch Butterfly pin/pendant. The Monarch Butterfly has wings spread sitting on a leaf. Vibrant enamel colors are used on the pin/pendant. One round cabochon cut Moonstone is bezel set on the leaf near the antenna of the butterfly. The pin/pendant has a bright polish finish.